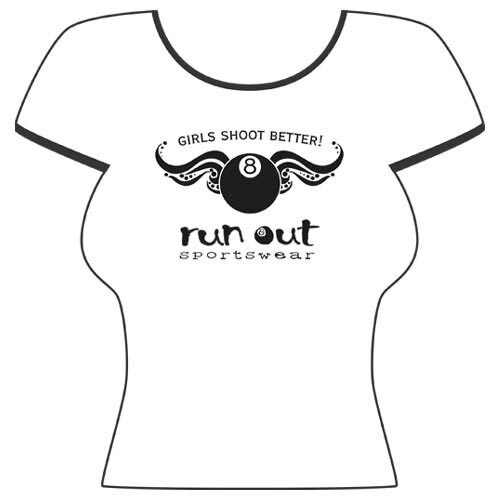 ôGirls Shoot Betterö on white girlsÆ jersey style ringer tee. Made from 100% pre shrunk cotton. This shirt is available in medium, large and xtra large.